All Against the Law tells the remarkable true story of America’s most infamous Public Enemy Number 1 gangsters. 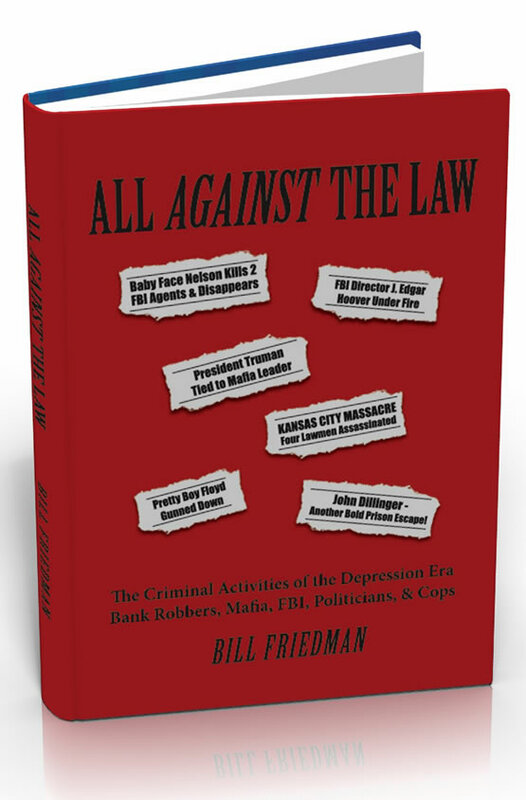 Based on exhaustive documented research, Bill Friedman chronicles the true history of illegal gambling, rumrunning, organized crime, and the politics of law enforcement during the Prohibition era. 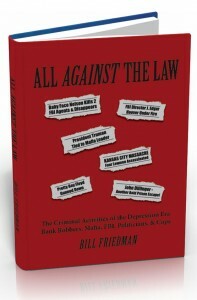 Based on crime-scene eyewitness accounts, state’s witnesses harborers’ accounts, and historical records, Friedman paints exciting portraits of John Dillinger, Pretty Boy Floyd, Baby Face Nelson and other luminaries of the underworld—and documents how surprisingly different that world was from the way Hollywood portrays it. Like great literary characters, history’s gangsters and bank robbers were complex and fraught with contradiction. Captivating tales of criminal daring are balanced with shocking political exposés revealing how complicity and incompetence hindered the effectiveness of law enforcement. Written in fast-moving prose that’s sure to entertain, All Against the Law is a must-read for anyone who loves classic American ‘cops and robbers’ stories. Friedman’s historical accounts are as exciting and dramatic as any genre fiction, while ringing with the power of truth and authenticity.